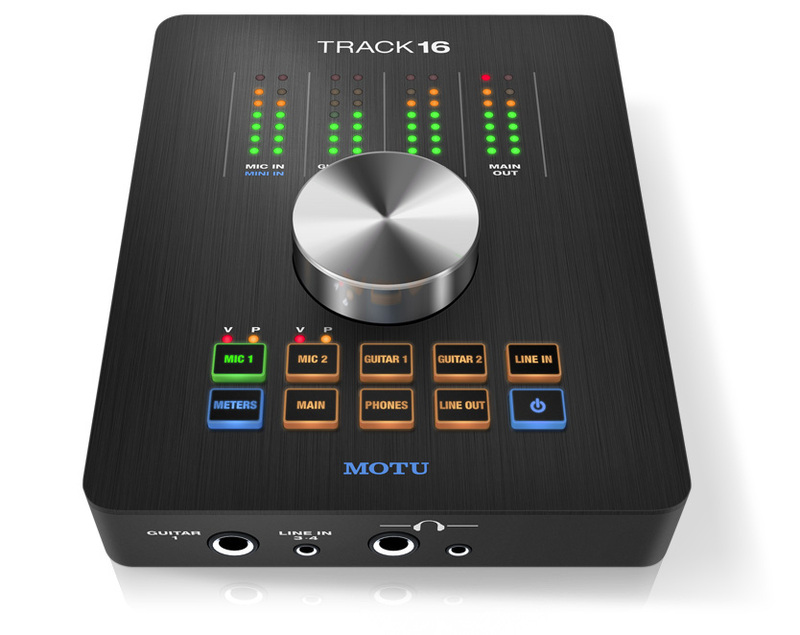 Track16 is the latest addition to Motu's range of audio interfaces. 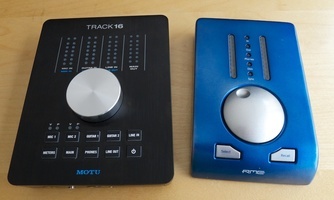 The numerous features announced by the manufacturer are very appealing. Let's see how they translate in the real world! Let's make a first attempt with a Cort Jumbo acoustic guitar (thanks to Nico for his guitars and his presence in front of the mic!) 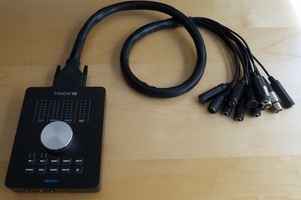 captured by a TLM-103, a mic with an excellent signal-to-noise ratio. 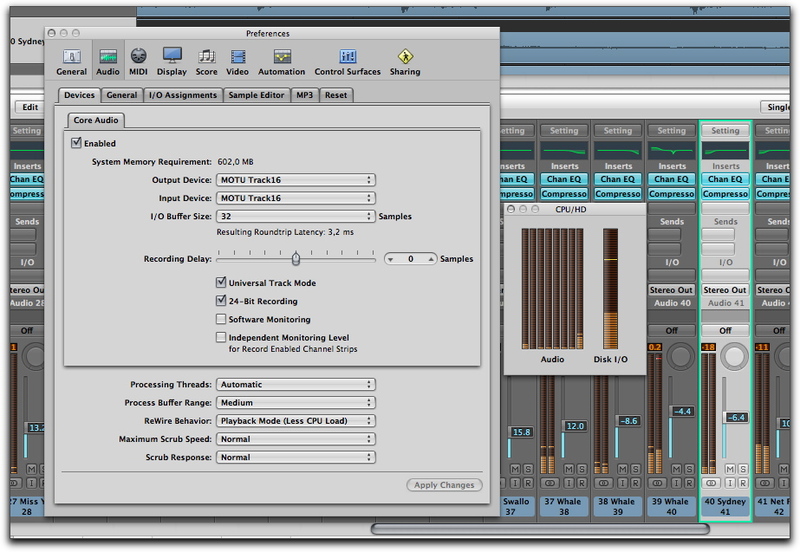 Note that you can't achieve max gain via the control on the interface itself and once you close the window (for example to get free space on your screen), there is nothing on the interface to recall CueMix. The sound character of the guitar is very well reproduced: less precise than a dreadnought guitar and with a special sound projection (and you can also hear some noises from the chair...). Let's try a banjo for a change now. Once gain, we noticed nothing particularly troubling. Let's go on with the guitar inputs (one directly on the unit and one via the breakout cable), which we tested with a good old DanElectro for its special sound. Let's go back to the processed acoustic guitar and add a bit of reverb (we made a hard cut in the reverb tail so that you can hear the resonance). 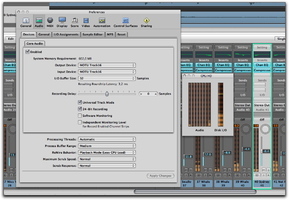 The reverb processor offers many controls (even for early reflections, the key parameter to get a realistic effect): three adjustable bands, crossover, effect width. 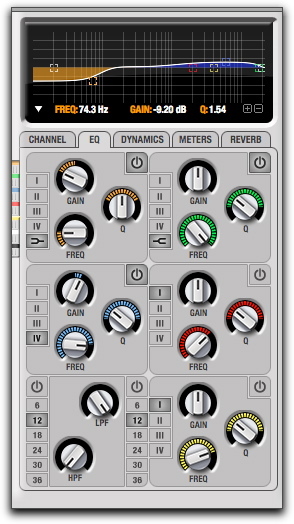 Let's try out the LA-2A compressor emulation that offers both Comp and Limit modes as well as Gain reduction and MakeUp Gain controls. For the sake of comparison, here are similar settings (matched using my ears because the two CueMix controls have neither scale nor value) with Universal Audio's LA-2A. Let's start with the negatives, for example the bulky and rigid D-Sub cable that takes a lot of space on a table or mixer. 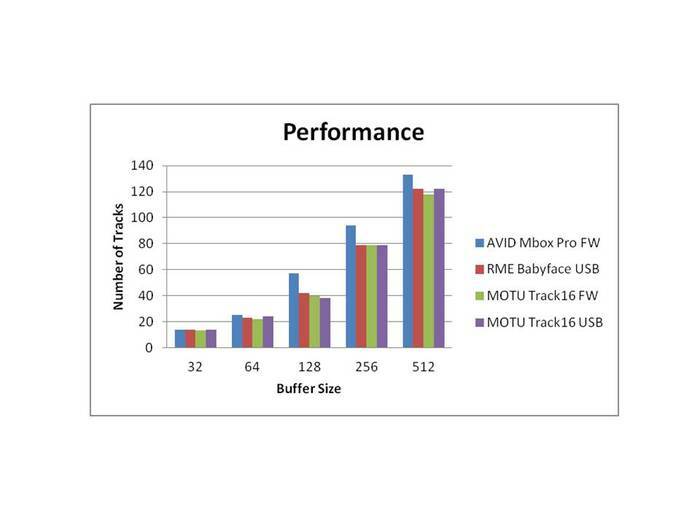 That's certainly a pity for a product sold as a desktop interface. 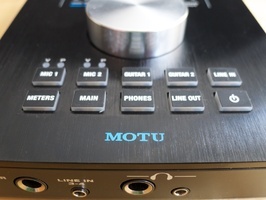 Moreover, sometimes there are audio clicks and I was not able to find the reason why (except when you power on/off). The main drawback is the buzz followed by clicks when you increase the trim setting of the Hi-Z inputs. The quality of the mic preamps equals the quality of similar interfaces at the same price-point. 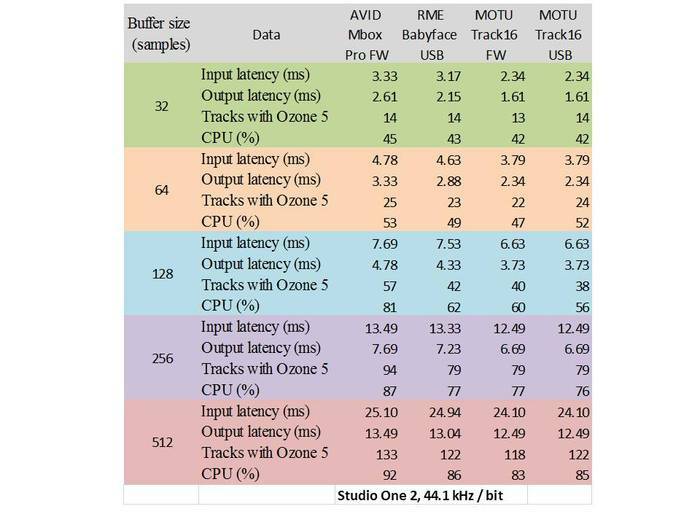 You'll be able to work without constraints, even if the preamps don't quite reach the performance of the ones on comparable RME or TC interfaces. 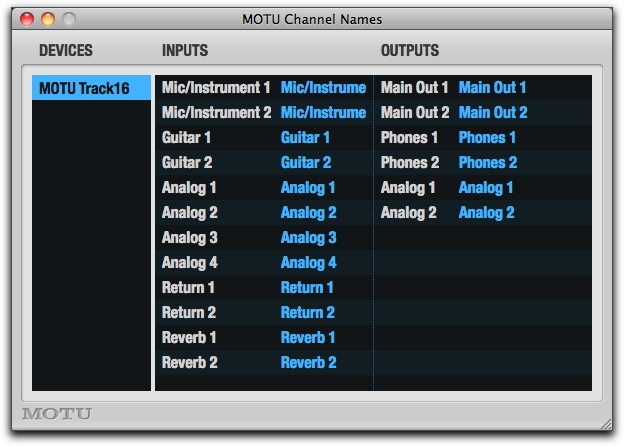 However, an ideal solution would be to add an external preamp via the ADAT interface. 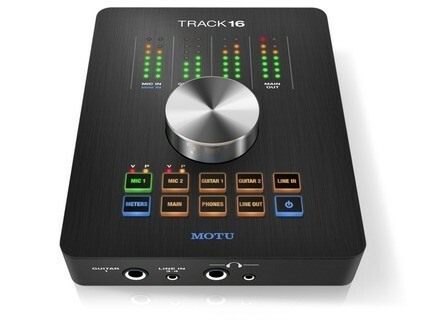 Putting that aside, this audio interface offers many advantages. 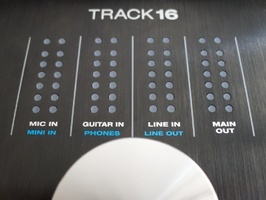 First of all, the number of ins/outs and the way they can be managed from the interface itself. The construction seems pretty sturdy, which is reassuring, especially considering that in this price range you can find several plastic boxes with knobs that fall off... 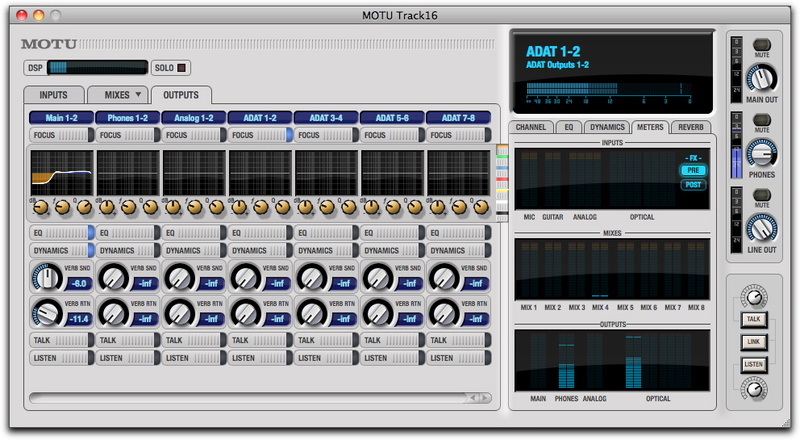 The software is quite impressive, even if it lacks some features, like a real routing matrix for example. 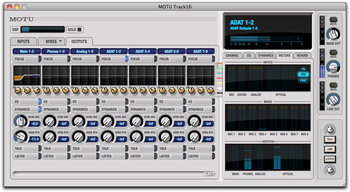 Nonetheless, the eight buses, high-quality effects, measurement tools, SMPTE LTC sync, the possibility to save setup presets, etc. 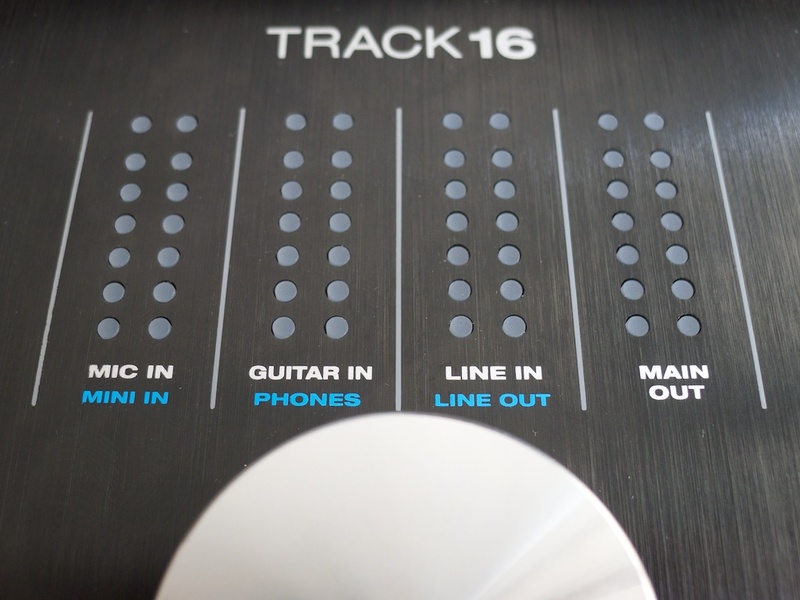 make the combination of CueMix FX and Track16 a very useful tool.